By Xah Lee. Date: 2014-02-19 . Last updated: 2017-02-19 . How to Find keycode / keysym of a Key? 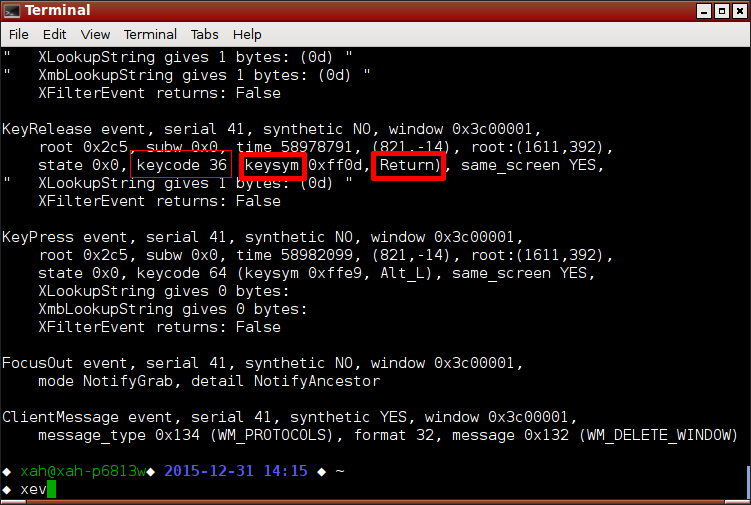 xev lets you find the keycode / keysym of a key. type xev in terminal, then press a key. It'll display output in terminal. note, mouse movement will generate lots of outputs. So, try not to move the mouse. to quit, mouse click on the close box of the popup window. In terminal, type xev, then press key to find that key's X11 keycode and keysym.